The BrewEasy™ provides all the simplicity of a traditional no-rinse brew-in-a-bag (BIAB) system, but offers the ramping capability of a traditional RIMS system, eliminates the messy and unsafe lifting of hot grains, and provides better wort clarity than BIAB. Be sure to read through our manual (see the manual tab) to get all the details of the BrewEasy™ to see why this system may be the ticket for you! Efficient, fast, and it lets you BrewEasy™! Already a Blichmann Engineering BoilerMaker™ owner? Awesome! The BrewEasy™ is modular in nature so you only buy what you need! 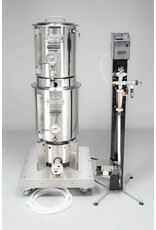 Works with both our gas and electric systems. How does it all work? 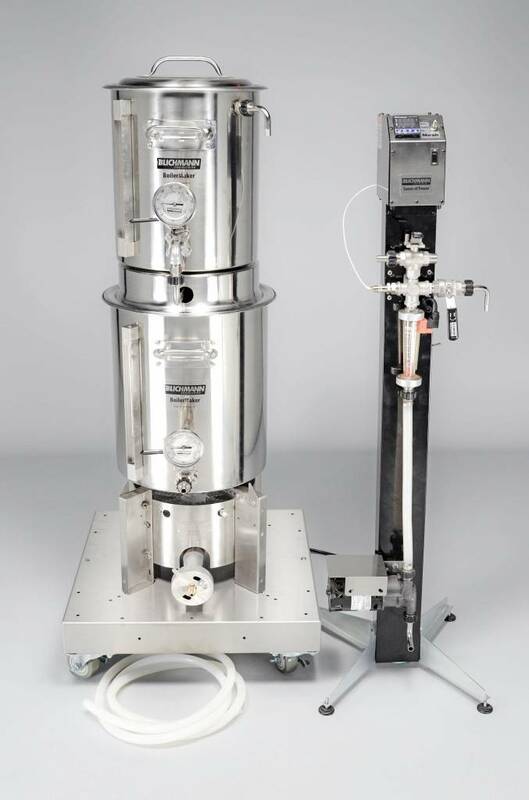 This two kettle K-RIMS™ system eliminates the hot liquor tank of a traditional three tier system as well as the time consuming and somewhat complicated sparging process. While a three tier system is still the most versatile and efficient, the BrewEasy™ offers improved efficiency over traditional no-rinse BIAB while eliminating the lifting of hot grains. The recirculation through the mash bed generates super clear wort. Simply start with ALL of your brewing water (liquor) for your brew day and place about half in the lower kettle (boil kettle) and the remainder in the upper kettle (mash tun). Set your AutoSparge™, turn on the pump and add heat. The liquor will recirculate from the boil kettle, into the mash tun, and back into the boil kettle. When the liquor has reached the dough in temperature, turn off the pump and add your malt. Ramping through several temperature rests is as easy as turning on the burner! When you're through your mash, simply turn off the pump and let all the wort from your mash tun drain into your boil kettle and boil as normal. It's as simple as that! Looking for automation? Add in the TOWER of POWER™ temperature control module and convenient TOWER LTE™ stand! 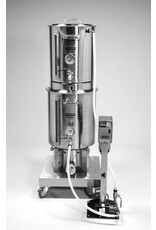 To make ordering as easy as the product, we've created BrewEasy™ turnkey systems! 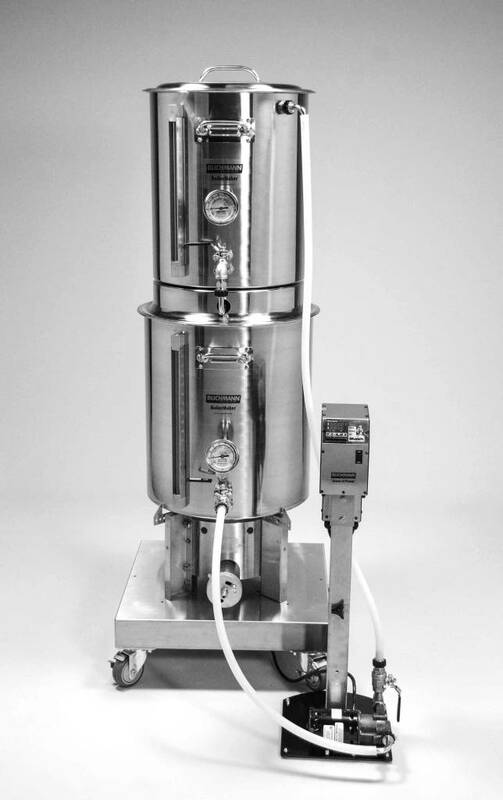 This is a great option for brewers just getting started that do not already own a Blichmann Engineering BoilerMaker™ kettles, a TOWER of POWER™ temperature control module, or a pump. The list below shows all the items included as standard in a BrewEasy™ turnkey system. If you already have one or more of these components it is more economical to order your system "a-la-carte". Also shown is a list of optional items you may choose to add to your turnkey system.